We offer free, expert two-person delivery across mainland UK with all range cookers ordered - why not have your cooker installed, too? We offer exclusive promotions across our range cooker collection - these are updated frequently so order quickly to avoid missing out! 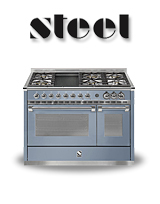 Browse through the most comprehensive range cooker collection online. Our friendly, knowledgeable team is here to help you find your perfect product. From premium range cookers from Ilve, Lacanche, Falcon and Bertazzoni to much-loved household brands like Rangemaster, DeLonghi and Smeg, our collection has something to suit every home and kitchen. 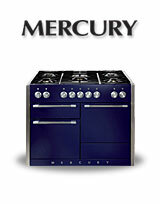 All range cookers come with free UK delivery. 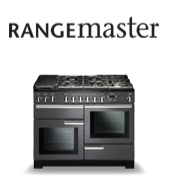 Rangecookers Appliances is the culmination of years of experience in cooker and cookware design and offers a quality entry-level Select collection plus a stunning high-end collection in the form of Ethos range cookers. AGA Rangemaster still lead the market as a dedicated manufacturer of quality range cookers for all tastes, and the prolific Rangemaster collection spans sharp, contemporary styles through to more traditional, farmhouse style cookers. 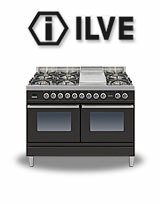 Italian manufacturer Ilve have developed a strong reputation for quality and their hand-built cookers are loved by people who take cooking seriously. Robust build quality and effortlessly stylish aesthetic ensure you’re cooking in a different league. 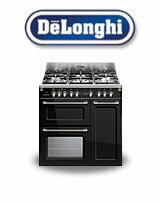 A great blend of style, quality and value makes DeLonghi a compelling choice. Good-looking, reliable cookers from a renowned Italian brand, whether in sleek Professional form or in the characterful and appealing shape of the DeLonghi Vintage series. UK manufacturer Stoves has a proud history of cooker production and their range cookers are generously laden with cooking features, combined with a solid build quality. 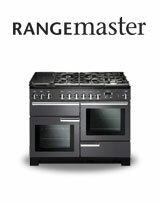 Great value, Stoves are certainly a viable alternative to Rangemaster. With a heritage originating from deep in the Burgundy countryside, Lacanche ranges offer the authentic French cooking experience. 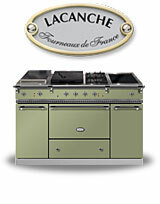 Built from the finest materials, it is easy to see why Lacanche cookers reside in the world's most discerning kitchens. 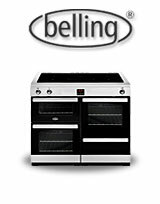 A renowned family brand, Belling have been manufacturing cookers and cooking products for 100 years. 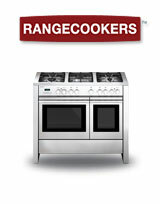 Belling range cookers are designed and built in the UK and offer good, solid range cooking at a very fair price. 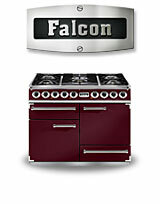 Built by AGA Rangemaster, Falcon cookers offer serious cooking for serious cooks. 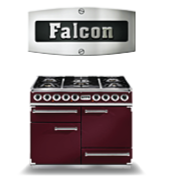 A no-nonsense Falcon cooker not only looks great in your kitchen, but is built to ensure many years of faithful service. Designed to perform and built to last. 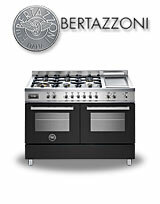 Brilliantly characterful and highly competent, Bertazzoni really is one of the best choices a dedicated cook can make, with style and confidence derived from many years of engineering premium cooking appliances in one of Italy’s finest food regions. 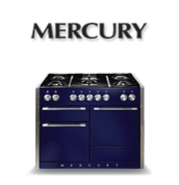 Gorgeous good looks built on a well-proven platform and to a very high standard, Mercury range cookers are out to seduce the design-conscious cook with their impressive credentials too, so why not succumb? Beautiful ranges for beautiful homes. A conventional range from the most famous of cooker brands, the Masterchef XL series gives you the impact of the Aga name in the form of a handsome, practical and solidly built range cooker with all the features you need to impress. 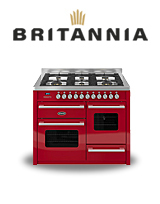 Classy and well-appointed range cookers built in Italy for the discerning UK market, Britannia’s modern look and solid feel certainly offers the home chef a refined experience, with some very nice features hard to find elsewhere. Ultra-impressive build quality is what marks out this Italian impresario, combined with simply stunning design and an impressive choice of cooking features. Premium in every way, Steel is a dream come true for the serious cook. 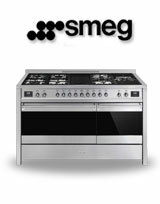 A true pioneer, Smeg have historically led the way with range cooking and continue to produce stunning ranges in modern and now new traditional formats which the UK market loves. Still a brand to impress the neighbours with, Smeg is a sheer delight. Doing things a little differently, this New Zealand brand has always excelled at providing eye-catching design and superb quality at a fair price. Their small range collection has plenty of panache, with sleek lines and pleasing attention to detail. Dual fuel range cookers are a highly popular choice, as they combine the benefits of a gas hob with the efficiency of electric ovens. Consequently, dual fuel ranges enjoy the widest choice of style and width formats. An increasingly popular and growing format, the easy-clean simplicity, speed and efficiency of the latest ceramic and induction hobs make an all electric range cooker a great choice for the modern home. Many people prefer to cook using a gas oven and hob, and gas range cookers may be the only option in some areas. 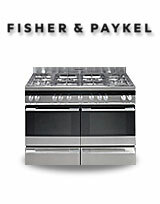 Fortunately, there is still a fair variety of gas cookers available, and you will find them all here. Although every dual fuel range will convert for use with LPG, if you are looking for an all-LPG range the choice is now sadly limited, but we proudly feature all available LPG range cookers here. Versatile dual fuel cookers, sleek, efficient ceramic and induction electric range cookers and powerful all gas cookers - we offer ranges in a variety of fuel types to suit any cooking style perfectly. Compact yet feature-packed, a 90cm range cooker can pack a punch and is a great choice for the smaller kitchen. There is a huge choice of 90cm range cookers available in all fuel types, styles and colours, and you will find them all by clicking here. A commonly-found size in many kitchens, there are plenty of 100cm range cookers featured on Rangecookers.co.uk, covering dual fuel, gas and electric formats, and giving you real range capacity in a neat format. 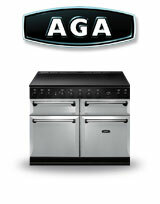 Probably the most popular size in the UK, 110cm range cookers give you a lot of cooking capacity and a lot of choice. 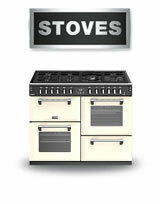 Traditional or modern, there will be a 110cm range cooker to suit all tastes and every budget. Looking for larger? 120cm, 150cm or 180cm range cookers create a real centre-piece and give you impressive cooking power - just click here and use the side menu to select the width you are looking for. From compact 90cm cookers through to monolithic 200cm cooking machines, range cookers are available in a wide variety of nominal widths - the most popular nominal sizes being 90cm, 100cm and 110cm. Range cooker mistakes and how to avoid them! It's no surprise that as the UK's leading range cooker specialist, we deal with a great many people looking for, erm, range cookers. As such we come across a lot of people that have been badly advised in the past and have made mistakes with their previous choice so we thought we'd point out common pitfalls when considering your new range, and more importantly how to avoid them. Had this cooker for a couple of weeks now & so far so good. Good solid build, nice big oven & handy number of burners. Looks great in my little kitchen & the drawer underneath is so handy for my baking trays. Delivered on time & it didn?t break the bank - all in all I?m a very happy chappy! The UK's leading online range specialist, we also have a purpose-built range cooker display centre in Chester, Cheshire - the perfect platform to showcase some of the best range cookers available from Stoves, Britannia, Lacanche, Redfyre and many more prestige brands. Our knowledgeable and very friendly team will be happy to help you find your ideal range. We understand that a range cooker should be a well considered purchase and welcome a visit so that you can get 'hands on' with our showroom display models over a cup of coffee.